This Australian inverter generator is tough, safe, versatile, portable, and reliable. 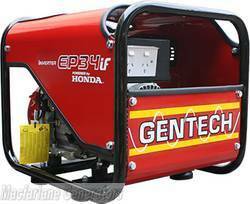 The 3.4kVA inverter generator runs at a low fixed speed. It has pure sign wave producing inverter technology which helps it to be one of the most fuel efficient generators out there. it comes standard with 2 x 15A outlets and is super quiet at only 56dBA.